Jack Larson, the actor who played Jimmy Olsen on the 1950s Adventures of Superman TV series, is a real hero to charities in Los Angeles. Larson and his late partner James Bridges (perhaps you’ve been to his namesake theater at UCLA) donated millions through their Bridges/Larson foundation. Bridges died in 1993 and Larson last September, and now their biggest contribution will be their spectacular Frank Lloyd Wright-designed home. Past beneficiaries of the foundation have included KCET, AFI, AMFAR, SPCA, and other non-profits that help animals, music, art, health, and the homeless. 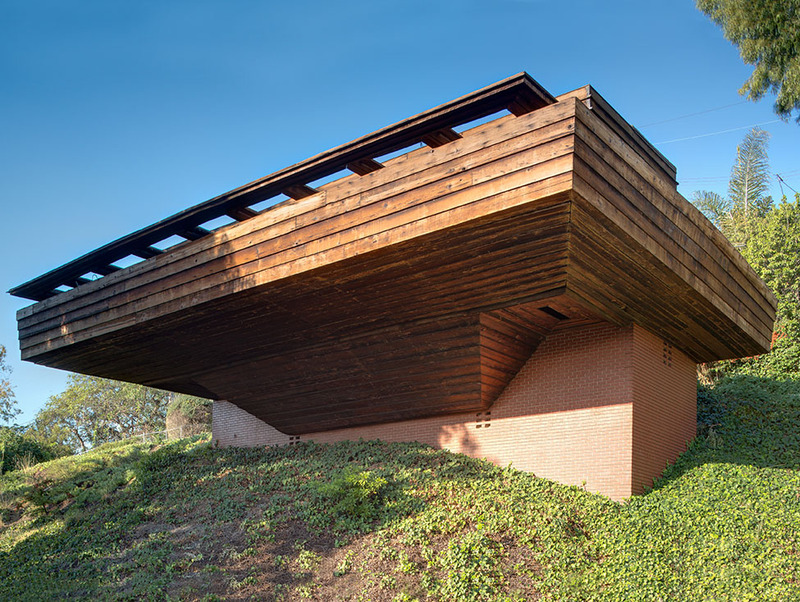 Los Angeles Modern Auctions is teaming up with Sotheby’s International Realty to offer the house at the February 21 Modern Art & Design Auction.